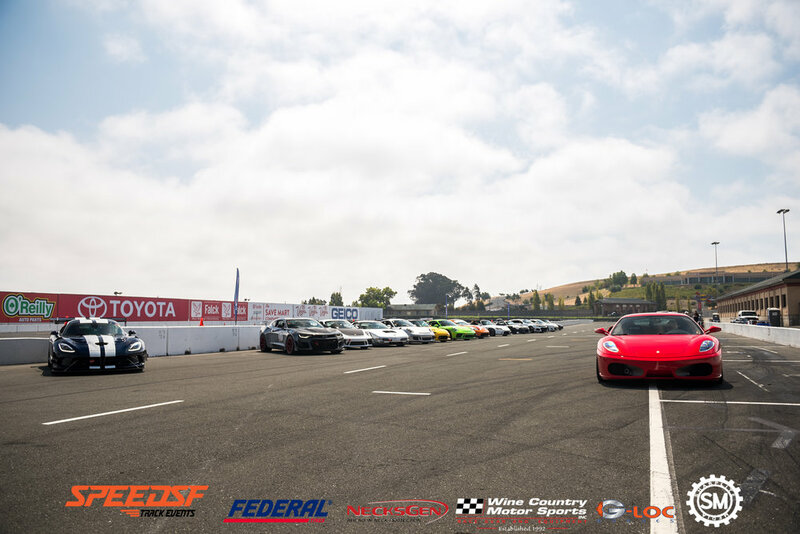 Another SpeedSF Challenge in Beautiful Sonoma (ON A MONDAY NO LESS), where 21 drivers took to the wine country tarmac in search of SpeedSF time attack glory. Once again, Group S1 was crowded with 9 people entering the Challenge, while Group S2 had 4 drivers. Groups S3, S4, and S5 had 2, 3, and 2, respectively. We were honored to have one Group X driver come out and join us on this fantastic Monday. Leading the group in 1st place was Sean Allen in his 2018 Chevy Camaro 1LT, who put down a 01:45.224 lap time. That's another 25 points for him in the books! 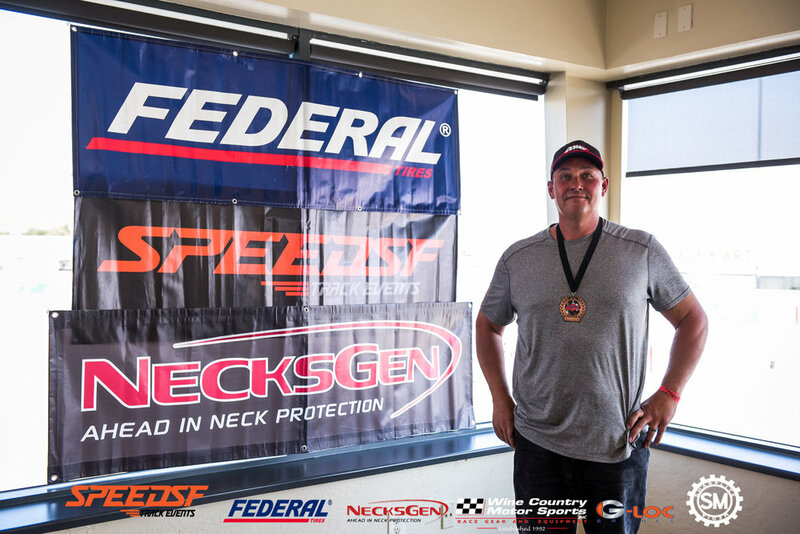 Josh Groubin in a Porsche 911 GT3 took home 2nd place with his 01:45.489, which is just oh so close to getting first! Perhaps next time! Finally, we have 3rd place finisher Dominic Stone also in a Camaro who beat out Gordon Peng's Chevy Corvette by just .25 seconds! This group is simply loaded with fast drivers and it is evident that every tenth matters. Four drivers in this group, but only three can walk away from this Challenge with a prize in hand. Our 1st place winner, none other than the Dirty Mango Gary Yeung, put down a 1:48.420 NEARLY beating his previous class-best time of 1:48.399. Hey Gary, save some records for the rest of us, yeah? 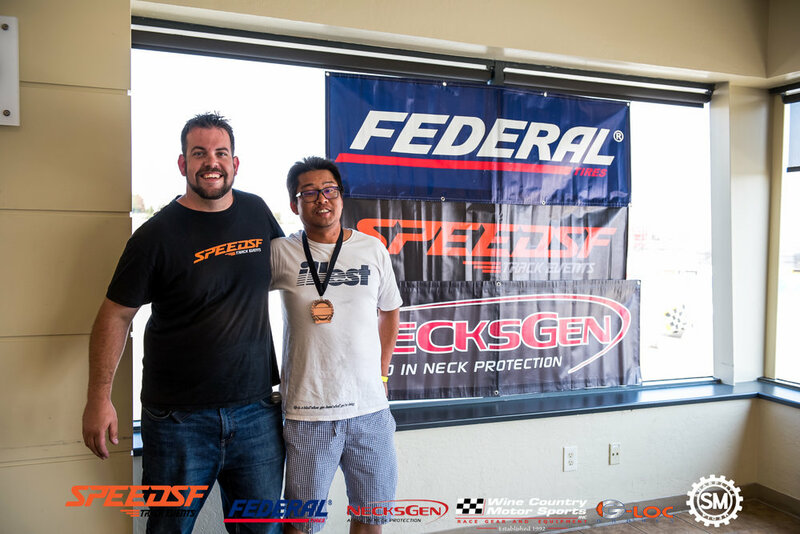 2nd place winner was SpeedSF's Patrick Chio in his Nissan 350Z who put down a fast lap time of 01:49.749. The 3rd place winner was newcomer Bryan Shiflett in his BMW 335i who had a lap time of 01:51.677. Two drivers, two winners! Series regular and 2nd place winner Robert Harper drove the heck out of his BMW M4 and put down a 01:54.418 lap time, which is pretty good! 1st place, however, went to the other Gary, Gary Wong, as he laid out a 01:51.817 lap time! Group S4, where powerful Miatas and some S2000s go to play. Today we had three drivers and thus, three winners! 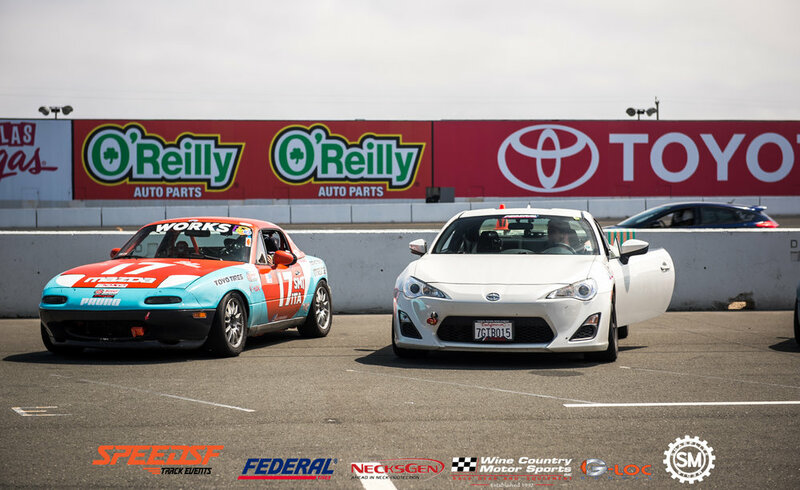 In 1st place was a not-Miata -- Joe McGuigan in a Scion FR-S throwing down a 01:58.312 lap time, while 2nd place winner was Scott Smith in his colorful Mazda Miata. Maybe all of those bright colors helped him cross the line with a 1:58. 837 lap time. 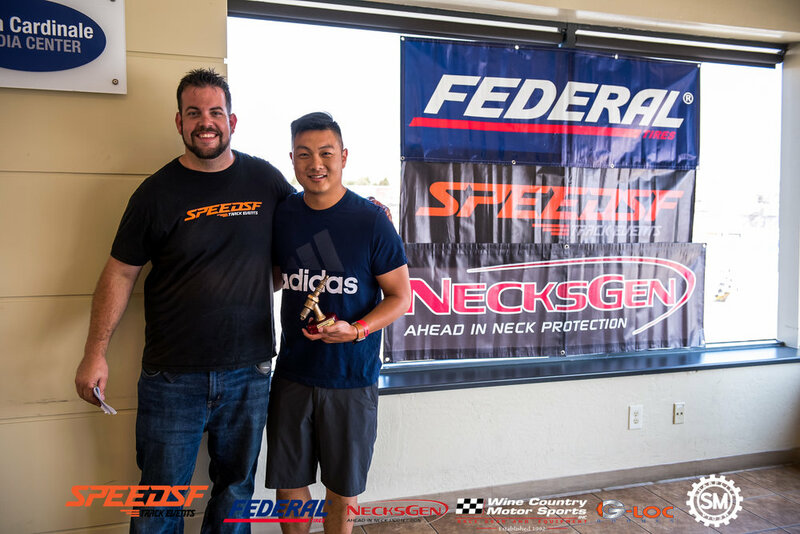 In 3rd place was Haoming Chang in his 2000 Honda S2000 that propelled him to a 02:03.175 lap time. Miatas thrive in Group S5, and this was evident with both drivers who drove their Matas for some relatively quick lap times. 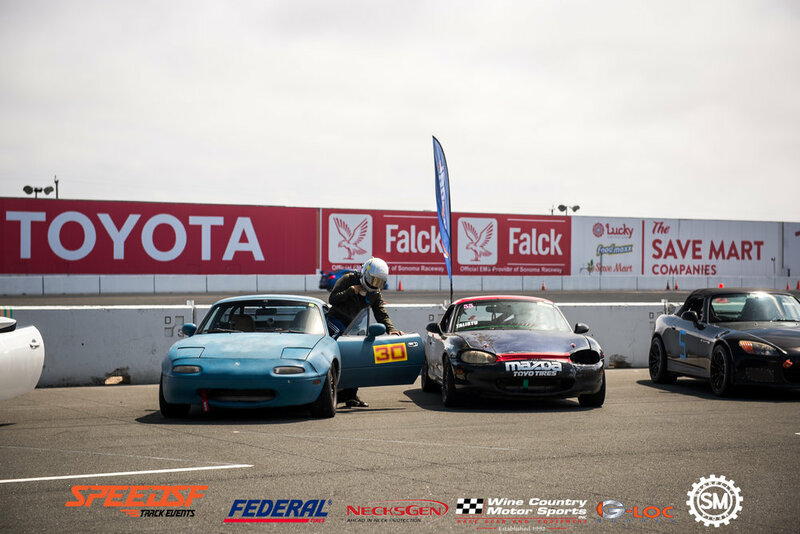 1st place finisher Sean Zhang and his 1996 Mazda Miata put down a 02:00.539 lap time, while 2nd place finisher Eric Talistu earned 2nd place with his 02:01.327 lap time with also a Miata! Last but not least, we have a powerful beast in the form of Darius Khaghabi's Dodge Viper SRT who tore up Sonoma with a 01:43.039 lap time, which is blistering fast, though he didn't beat the lap record set by him two years ago (01:40.518). 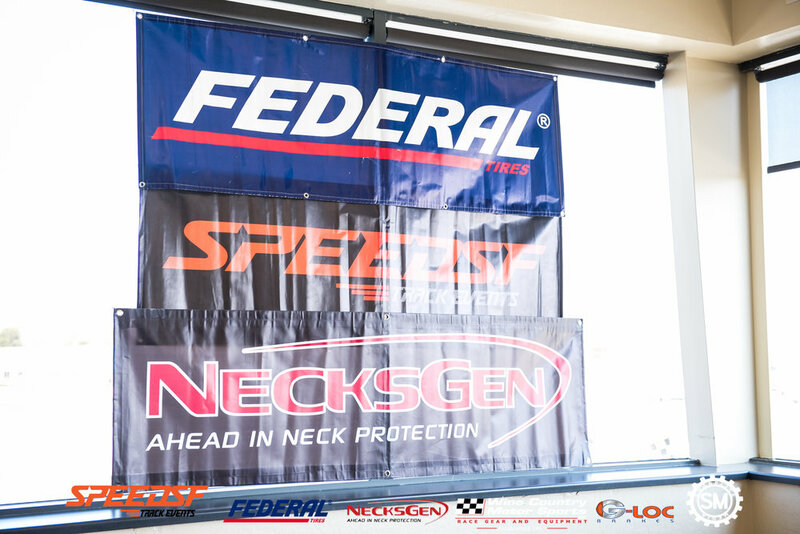 As we look forward to Round 10 of the SpeedSF Challenge at WeatherTech Raceway Laguna Seca we want to say that we truly appreciate our sponsors and participants as it would not be possible without them! 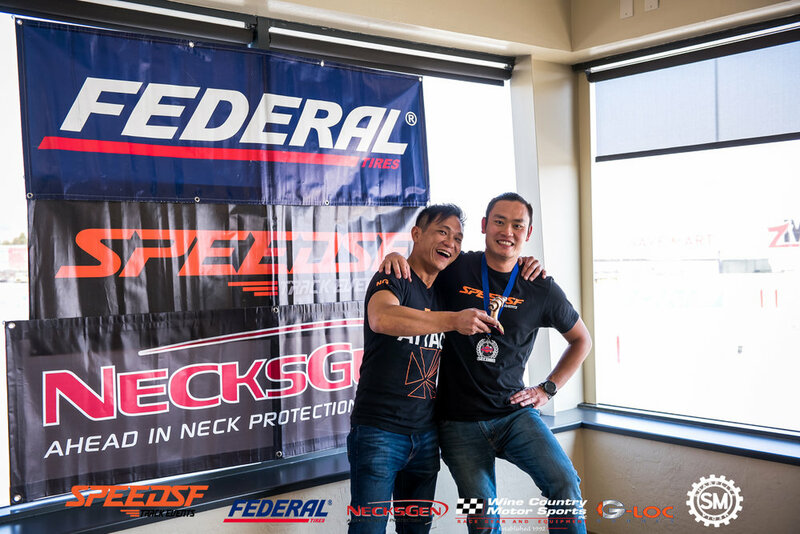 We would like to thank our Challenge sponsor Federal Tires, as well as SpeedSF Track events sponsors Wine Country Motorsports, G-Loc brakes, DBA USA, and Necksgen. 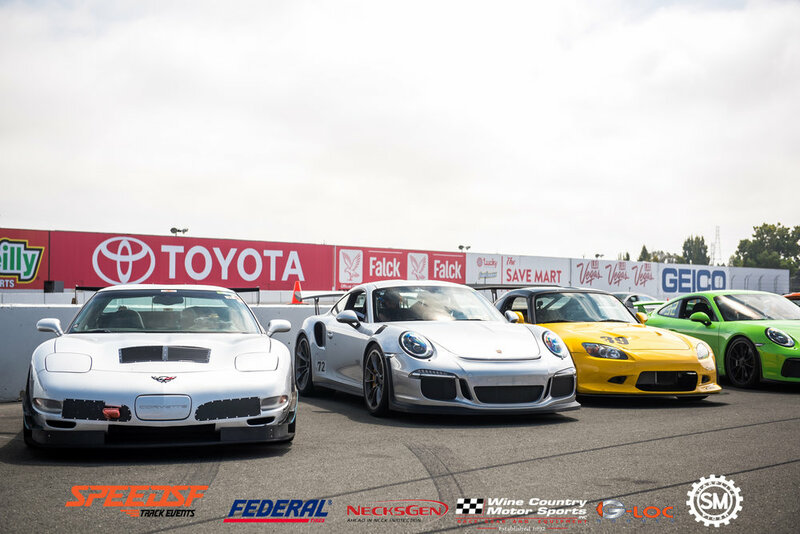 Our next SpeedSF Challenge will be held at WeatherTech Raceway Laguna Seca on September 2, 2018. Again, please check out the event website by clicking here. We will see you at our next event!